Good morning, Alicia here today to host the blog for you! I am so excited and nervous about my first project for Quick Quotes. I have created a layout for you today. I just loved this Alton 200 paper when I first saw it in my design team pack! I loved it so much I did not want to cover it up. I managed to get several pictures on my layout and plenty of layers with keeping the background paper exposed. 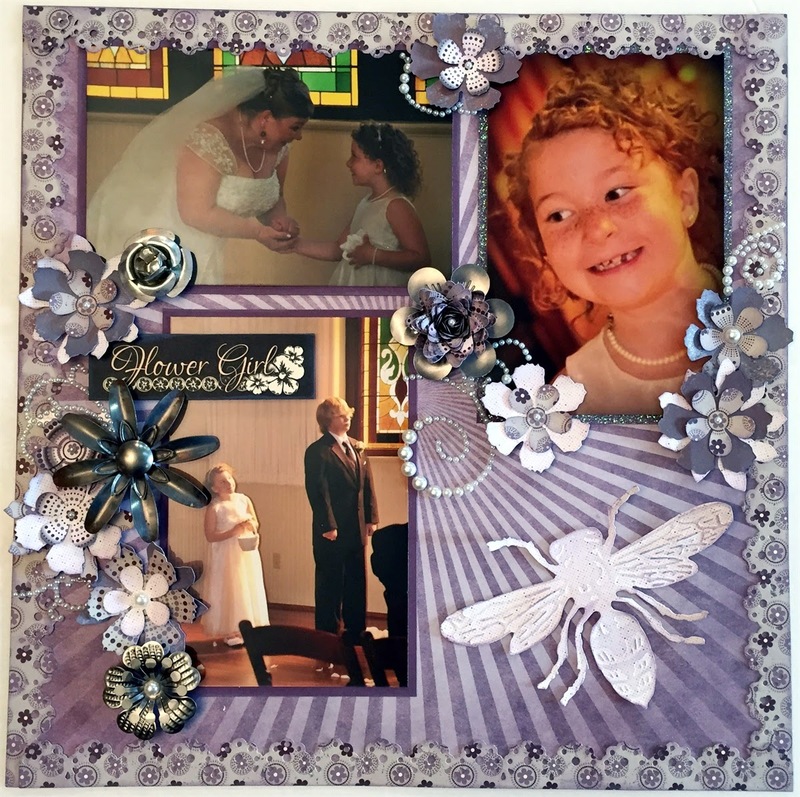 My flower girl is my niece, B.
I did need to dress it up without covering it up so I created a frame with Alton 300 (the tiny flower side) and a Sizzix eyelet lace border die. 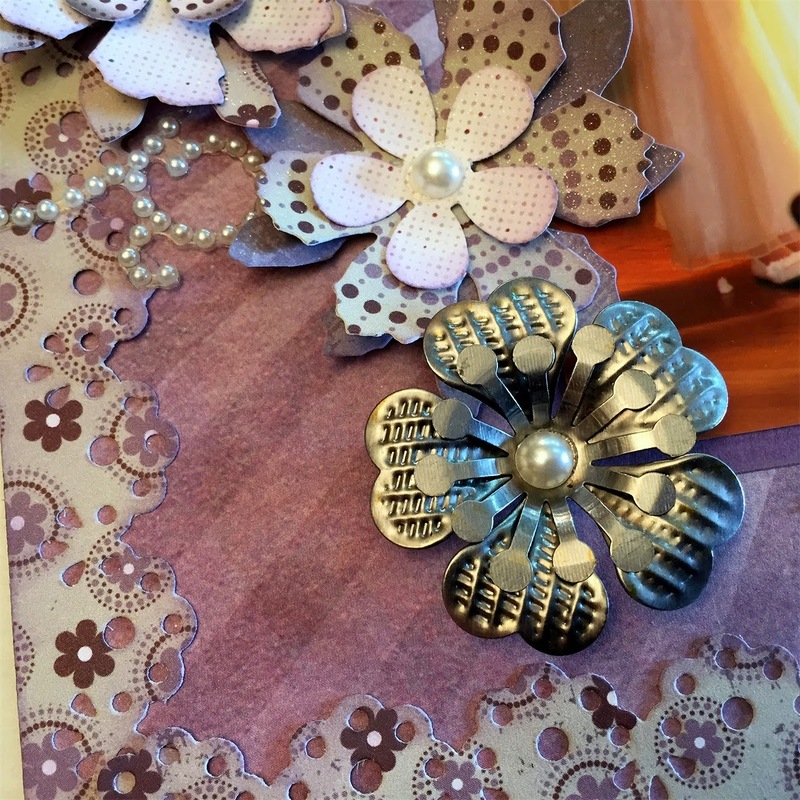 Then I went wild with flower dies and punches! I then sprayed all my paper flowers with Radiant Rain Ice, I hope you can see the subtle shimmer. I layered the paper flower cut from Alton 100 & 300 (both sides) and mixed them in with the Quick Quotes rustic metal flower embellishments. 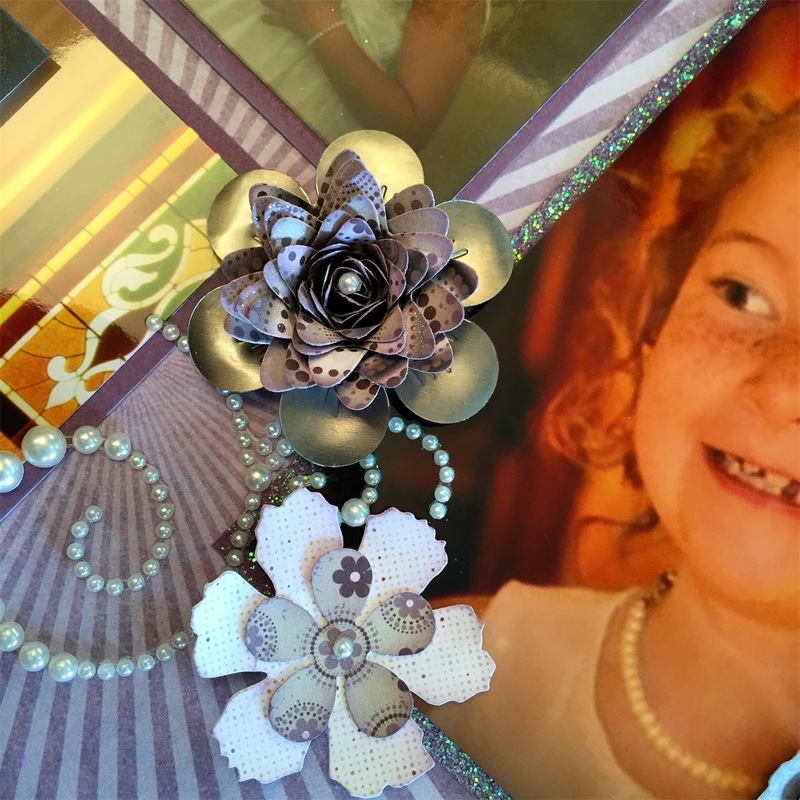 I topped them off with pearls in the center and pearl flourishes. And of course every single piece is inked with the Plum Crazy Powder Puff! Absolutely loves the page Alicia! You do awesome work! I really like all the flowers, especially the metal ones. And your niece is adorable! Thanks Nichole! The metal flowers are from Quick Quotes, aren't they awesome??!! Alicia, I love your page. All the details are gorgeous. And this little lady is so beautiful. Congratulations!